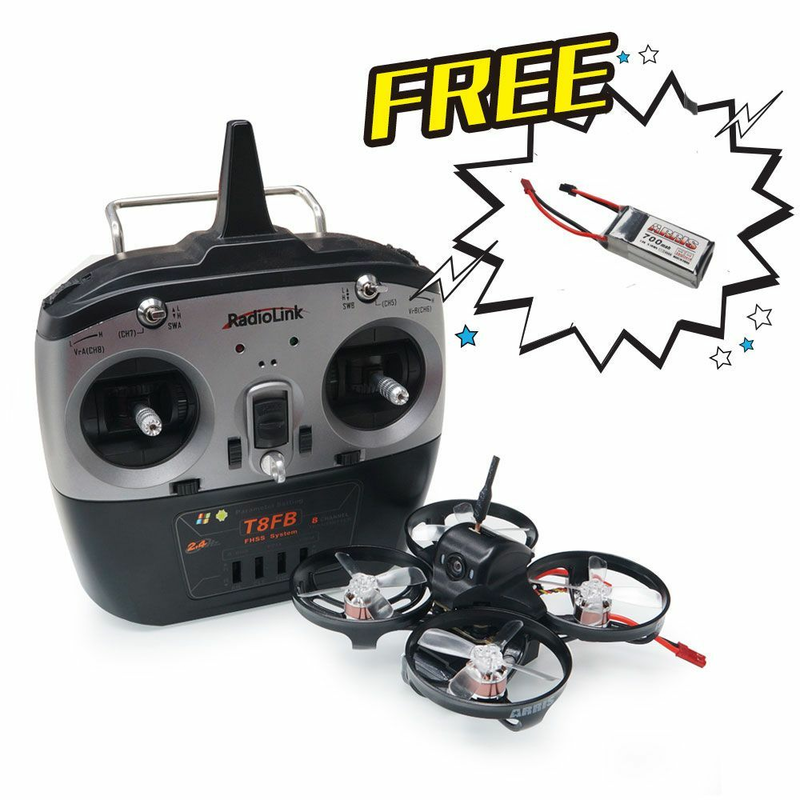 ARRIS X90 90MM 2S Brushless Tinywhoop fpv racing quad is one "X" symmetrical design,all-round protection design micro brushless quad specially designed for 2S 7.4V lipo battery. It is durable and strong, smooth and powerful, suitable for indoor and outdoor flying. The RTF version comes with Radiolink T8FB and R8FM mini receiver, fully adjusted and tuned before leaving the factory, it is ready to fly. Note: Battery charger is not included. Due to the battery in it, the shipping time will be longer than usual.